What is this 'hygge' word (Pronounced: hue-gah) we've all been hearing about? WELL .... it is the Danish concept of living well & living simply. 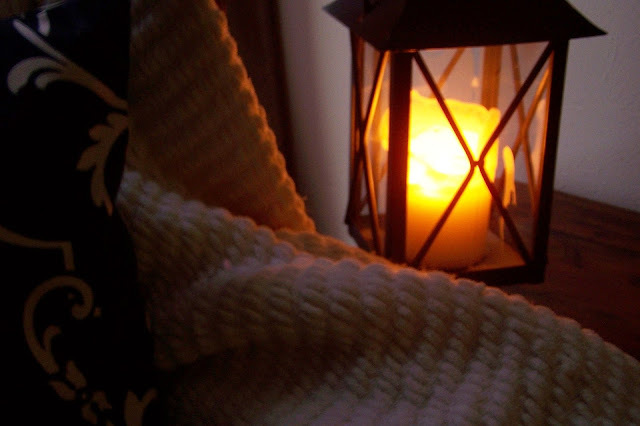 It is all about feeling cosy, comfortable and relaxed, either together with people or alone. Ever since I received The Little Book Of Hygee, I have really been embracing it. So I thought I would share with you a few tips on how to create a Hygee room. Tidy up, there is nothing cosy about a messy room. Say good-bye to your clutter, find a dedicated place for everything and the stuff that you do not find places for maybe you don't actually need them. Keep stocked up on candles. Candles can instantly transform any room into a relaxing space. Not only do they give off a relaxing glow, they release a wonderful smells that go throughout the house. Try adding luscious textures such as chunky cushions, a fluffy rug or blanket from cosy materials, and then snuggle into them by your fire, if you have one. If not a comfy chair or sofa will do and enjoy that extra warmth that they give you. Hygee is also about having friends and family over to your cosy home to indulge in a hot chocolate with plenty of whipped cream and marshmallows or a good ole wholesome meal. Take time out to embrace life and those special little moments. Whether that would be drinking a cup of coffee or eating a slice of cake. Simply enjoy that moment. What are your personal Hygee tips?